Provide comfort for the family of O.W. Hurley with a meaningful gesture of sympathy. 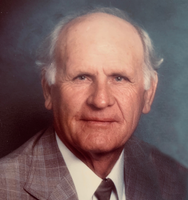 Mr. Orville Willard Hurley, age 95 of Quitman, passed away on Friday, March 29th, 2019 in Greenville. He was born on January 13th, 1924 in Yantis to the late Calip Hurley and Ada Mae Lewers Hurley. He was a retired farmer and rancher and was preceded in death by his wife, Dee Hurley and seventeen brothers and sisters. O.W. is survived by his son, Danny Hurley; grandchildren, Sondra Hurley Smith, Todd Hurley and Cole Hurley; seven great grandchildren and one great great grandchild. Visitation will be held on Tuesday, April 2nd, 2019 from 1:00 pm to 2:00 pm at Beaty Funeral Home 5320 S. State Hwy. 37 Mineola, TX 75773. Funeral Services will follow at 2:00 pm, Rev. Fred Morrow conducting. Interment will be at Roselawn Memorial Gardens in Mineola, with Todd Hurley, Cole Hurley, Pecos Hurley, Dawson Glass, Dalton Smith, John Smith, Jacob Allen serving as pallbearers. To send flowers in memory of O.W. Hurley, please visit our Heartfelt Sympathies Store. We encourage you to share your most beloved memories of O.W. Hurley here, so that the family and other loved ones can always see it. You can upload cherished photographs, or share your favorite stories, and can even comment on those shared by others. Marcus and Donna Hurley sent flowers to the family of O.W. Hurley. Marcus and Donna Hurley purchased flowers for the family of O.W. Hurley.